Setting your child up for tertiary education seems like a lot of hurrying up and waiting and then panicking to tick everything off the to-do list in the few days immediately after matric results are announced. One of the top items on that to-do list is finding student accommodation, once they have been accepted to study at an institution far from home. The universities and FET colleges simply do not have enough accommodation on campus for all their students, and it falls on students, and their parents, to find a suitable spot for them to live and study for the duration of their tertiary education. Choosing student accommodation is about so much more than finding the cheapest possible spot within striking distance of the your lectures. 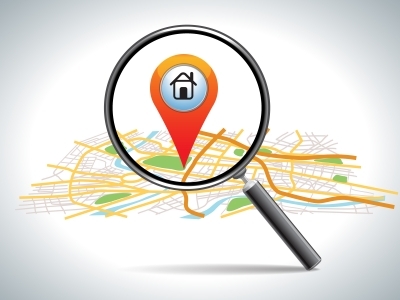 Respublica offers some tips to make it easier to identify the best location. 1.All above board: Even though universities and FET colleges don’t own enough accommodation for all their students, they do accredit independent residence operators who offer suitable accommodation to supplement campus residences. If you are engaging with a student accommodation landlord, check that they are accredited by the institution you’re engaging with, to be sure that rentals are fair, the accommodation is suitable, and that you are dealing with a reputable landlord. 2.Safety and security: Students should feel as safe when they’re in their accommodation as they do when they’re at home – so check that the facility that you’re considering has suitable security, both to protect the student’s belongings, and to protect their person too. 3.Pricing vs value: Shop around for the best deal – but also consider that the cheapest option may not necessarily be the best. Make sure you have considered all the potential costs as there are often hidden expenses not included in the basic fee (utilities, wifi, laundry, residence life activities etc) that cause costs to escalate. Fully fitted accommodation ensures parents and students don’t need to invest in appliances, desks, cupboards or beds. If you’re investing so much in your child’s education, it makes sense to make sure that they live in an environment in which they have the privacy, security, and ideal living conditions in which to keep their end of the deal: to study. 4.Keep it close: Look for accommodation that is close to campus, or at the very least, that is close to public transport that offers easy access to classes. Research the city, as there are increasingly greater options to choose from – for example in Johannesburg, students can travel by taxi, the Rea Vaya bus system, or the Metro Bus system, as well as the Gautrain or metered taxi services. 5.Creature comforts: It’s the creature comforts that make it easier to stay in and study, and the accommodation you choose should include the basics such as beds, built in cupboards, lockers for valuables and a desk, all of which should be in good repair. Reputable operators, like Respublica, provide fully serviced apartments with fully fitted rooms and kitchens that are also cleaned weekly. 6.Living the lifestyle: Being a student is about so much more than just studying – it’s about building relationships and debating the meaning of life until strange hours of the morning. Make sure that your chosen facility has common areas where students can relax and socialise – while being confident that they’re doing so in safety. Operators like Respublica who take student accommodation seriously, are now going as far as offering comprehensive residence life programs. These provide students with a strong sense of community and support through co-curricular and residence education programs and activities designed to enhance their experience at university. 7.Healthy body, healthy mind: Choose a facility that offers catering for residents – even if it is just for one balanced meal each day, with the student being responsible for their other meals while on campus. First prize is a facility that includes a gym or other exercise options too. 8.Top technology: Gone are the days where students could complete assignments by spending hours in the library. The internet age has made more information more accessible, and your student should have ready and easy access to the online world. Does your chosen facility offer WiFi and broadband access? A ‘yes’ answer to this question is no longer a nice-to-have, but is rather an essential. “Keeping this checklist close while you’re shopping around for accommodation will mean that your student will be living in a safe, secure and nurturing environment that will make it easier for them to achieve the most out of student life,” says McMurray.